At DNS Accountants we are specialized in tax accounting, advance tax investigation, tax planning and accounting services. All our staff is well qualified with degrees from well-accredited universities from across the globe. All the members of the firm are members of professional accounting bodies such as CIMA and ACCA. In 2013 DNS also won the British Accountancy Award. 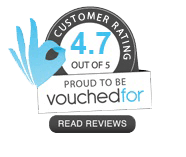 We are also among one of the best contractor accountants in london. It is more than ten years since DNS Accountants was registered with the Charted Institute of Management Accountants (CIMA). DNS Accountants was founded by Sumit Agarwal, who is also the managing partner of DNS Accountants. He started the company with his exuberant passion for helping businesses grow and thrive in the current financial economy. The company has set up offices at Watford, Reading, Harrow, and Euston (London). The head office is located in Harrow. The company has seen tremendous growth in the past few years thanks to the skillful and highly qualified team of chartered accountants that provide excellent support to small businesses, freelancers, construction industry, contractors, business start-up services. Our unparalleled customer service record makes us the undisputed leader in the market. The company is now providing expert advice to more than two thousand businesses across the UK. The sole aim of the firm has been to achieve hundred percent customer satisfaction. Backed by our stupendous growth, we have set up our branches across the UK and have services at various cities including Chelmsford, Wickford, Colchester, Northampton, Luton, Watford, Maidenhead and Cambridge. We provide superior contractor accountant services across these cities. Chelmsford was originally an agricultural and market town of Essex. Chelmsford has been an important center for the industry since the 19th century. Chelmsford is an industrial town and employs more than eighty thousand people in a variety of trades. The city has one of the lowest unemployment rates in the country and has a very well educated workforce, with nine percent of the working population holding a bachelor's degree or above. It is located in the London commuter belt and is approximately thirty-two miles from Charing Cross London. Easy access to transportation has made the town a hub for new businesses and contractors. 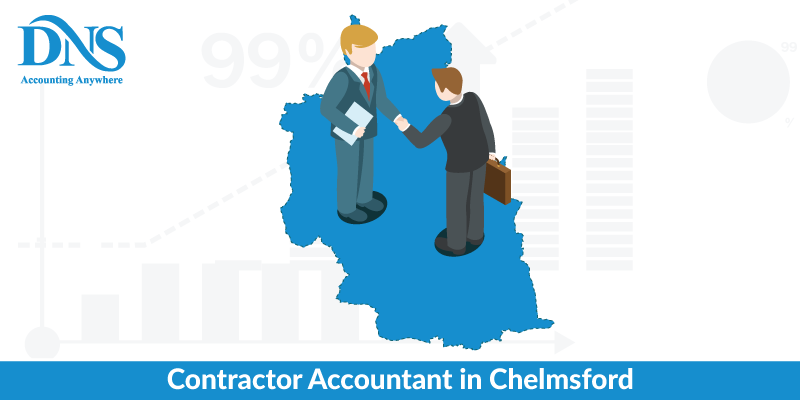 This has led to an increase in demand for experienced charted accountants and IT contractor accountants. The purpose of an HMRC to run a tax investigation may seem like a very straightforward issue, but it is crucial to have a good understanding of this basic phrase. Naturally, when spoken together, the words tax and investigation are not good news. Honestly, many do not realize that there is no standard definition for this term, and it varies with person to person based on circumstances. Investigative contact made by HMRC can come in many forms; some can be more serious than others, and some can be just for information purposes. Here at DNS Accountants we cut through the technical patios and give our clients the no-nonsense, practical advice that you need in such a situation. A minuscule percentage of tax investigations begin randomly. Most of the times, authorities have a strong reason to be running an investigation on your accounts. So if you receive a tax investigation letter from HMRC, you can be almost reasonably sure that they feel there has been concealment of facts, and they believe that you have underpaid your tax. Make sure you do not hesitate to give us a call or contact us in such sticky situations. We are here to help you out. Our seasoned tax experts will handle the matter with ease and will ensure that all the legalities are attended to properly, without bothering you much. Real Time Information (or RTI) is an HMRC initiative to improve the accuracy of PAYE hence reducing the need for the company to send out corrections for underpaying the employees or the possibility of fraud. Under this new RTI legislation, employers are required to send in information to the HMRC on the day or before they pay their employees. This is different compared to sending in information only once a year. This means for your business; you’ll need to send information for PAYE, NIC, and Student loan every single time you pay your employees. This procedure demands the up to date details of all your employees. The key to a successful implementation and compliance of RTI is simple if attended to regularly, don’t leave it to the last minute! Let us help you out through the whole paradigm of RTI. Get in touch with us today! Avoid the penalties and keep running your business smoothly with the best contractor accountants fees provided in the industry. Here is an overview of the advantages of teaming up with us and safeguarding your business. Every advice we give, you will be certified. You also get your very own customized software to check your accounts on a daily basis. We provide some of the finest accounting services with 100% accuracy assurance. In our hands, your accounts are safe and are managed by knowledgeable highly experienced accountants. If by chance you are not satisfied with our service, you can even opt for not paying us our monthly fee. Also, we have an almost perfect happy customer rating. Doubts and Queries are responded ASAP. The highest level of customer service is what we provide. Don’t even think twice about shaking hands with us. We serve over one thousand clients across the country involved in different domains. We help them to do better in their area of work and maximize their profitability. To request a free meeting today enter your details via the contact page or just directly reach us by calling on 03300 88 66 86. You can also email us. The company also has its apps available for download on the Apple App Store and Google Play, so that you can conveniently browse our services and contact us as per your convenience. Need some expert tax advice? We are here for you.